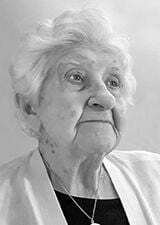 RACINE—Dorothy C. Prochniak, age 102, passed away Saturday, April 13, 2019 at Willowcrest, South Milwaukee. She was born in Racine, April 4, 1917, daughter of the late Julius and Fredricka (Nee: Schmidt) Kuhnwald. A Mass of Christian Burial will be celebrated Wednesday, April 17, 2019, 11:00 am at St. Monica’s Senior Living, 3920 North Green Bay Road with Rev Fred Passark OSA officiating. Relatives and friends may meet with the family Wednesday at St. Monica’s Senior Living from 10:00 am until time of Mass at 11:00 am. Private interment will be held at Holy Cross Cemetery, Hwy 32. Memorials to Toys for Tots have been suggested. 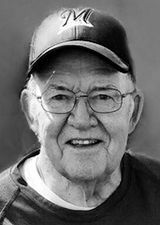 RACINE—Francis ‘Doc’ L. Olley, age 89, passed away Friday, April 12, 2019 at St. Monica’s Memory Care. He was born in Racine, May 20, 1929, son of the late George and Alvina (Nee: Meyer) Olley.